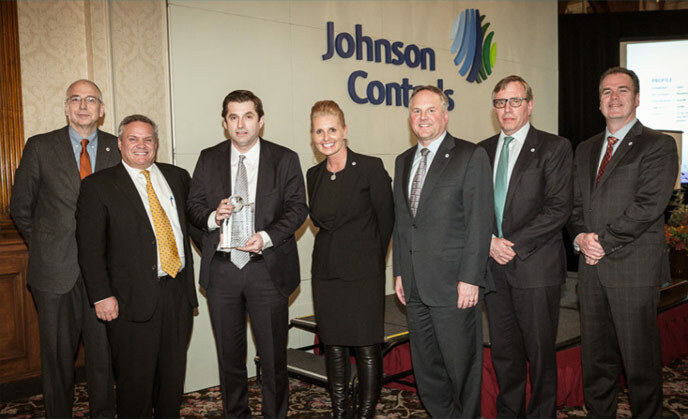 2015 Supplier Excellence – Cimco Resources, Inc.
Cimco Resources was awarded the Johnson Controls Supplier Excellence Award by CEO Alex Molinaroli at the Supplier of the Year awards on Feb. 2nd. Cimco was chosen as one of three American companies to be recognized out of thousands of suppliers because of their contribution to JCI’s success in the areas of innovation, sustainability, customer satisfaction, and shareholder value and quality. Cimco manages the scrap metal for JCI in over 70 locations throughout the U.S., Canada, and Mexico.